A testament to Amish craftsmanship, the Cambridge Dresser features solid wood construction, hand-rubbed finish, and a scalloped, tri-fold mirror. 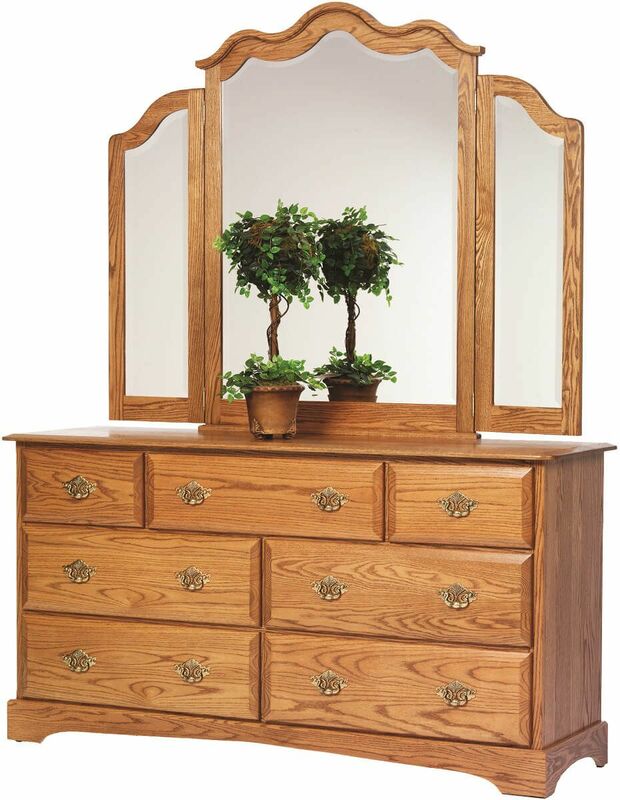 Beautifully decorated and expertly built, your Oak dresser and tri-fold beveled mirror is an heirloom investment. 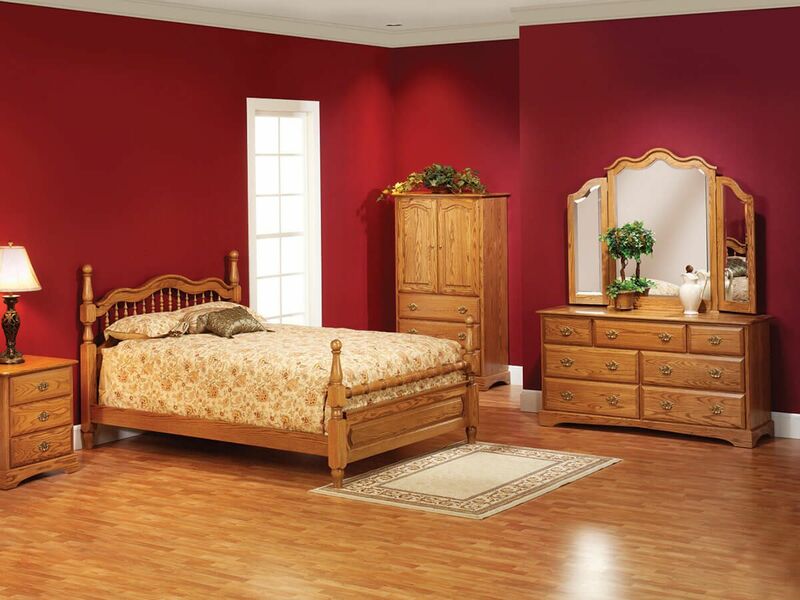 The Cambridge 65" Dresser with Mirror includes convenient full extension, soft close under-mount drawer slides. This addition ensures the drawers of your mirror dresser extend fully and provide a quiet, smooth, and controlled closure. Using the options menu, indicate your preferred wood and finish for the Cambridge Mirror Dresser. 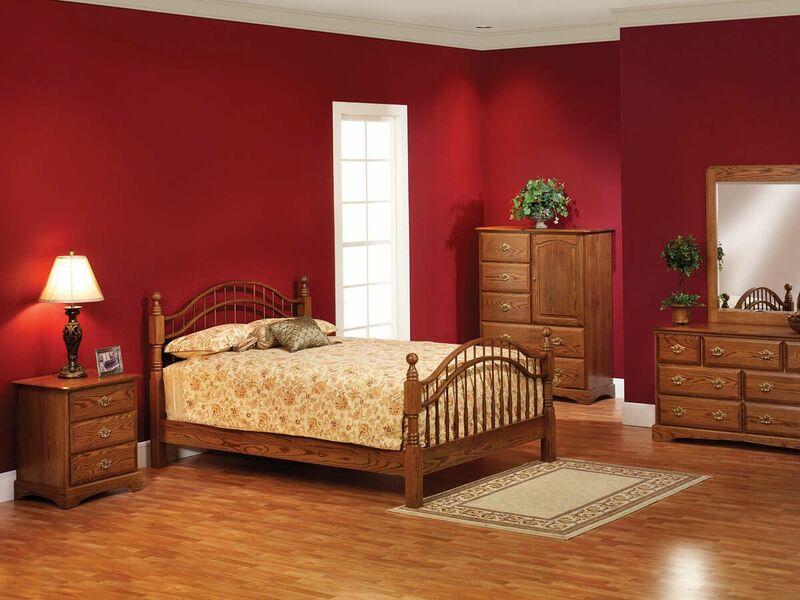 Choose Oak with our Salted Caramel stain to obtain the pictured look on your own dresser with mirror.